Haiti Action Committee https://haitisolidarity.net/ is honored to circulate this statement from Fanmi Lavalas, the people’s party in Haiti. Fanmi Lavalas issued the statement in solidarity with the massive upsurge of protest against the corrupt regime of Haiti’s current president Jovenel Moise. The statement comes in the wake of violent state repression, including the horrific massacre of over 60 people in Lasalin, a center of popular grassroots activism. This December 16thwas the 28thanniversary of the election of Jean-Bertrand Aristide as Haiti’s first democratically elected president. 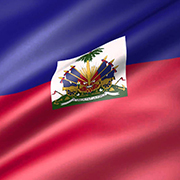 The date was marked in Haiti with continued mobilizations for democracy and an end to the brutal attacks on the population. As usually occurs during periods of dynamic struggle such as the present, the oligarchy is fractured. Attempting to maintain the status quo, it is faced with internal contradictions regarding the strategy that would allow it to save “the system” — a sham institutional “democracy” set within a framework of an economic and social regime based on glaring inequalities, a stranglehold on political power that excludes the popular masses, and the pillage of national resources. The population is rejecting the usurpers who have derived their power from the fraudulent elections and who have discredited themselves with multiple scandals involving corruption and impunity. Our people are facing savage repression that continues to create victims among the disadvantaged masses, and that is heightening the insecurity that is poisoning daily life for the majority. Fanmi Lavalas Political Organization continues to stand firmly with the Haitian people to “chavire chodyè a (overturn the cauldron)”. No cosmetic solution will bring an effective and lasting solution to the crisis in which we are plunged. This system has run its course. It cannot be patched up. It must be changed.